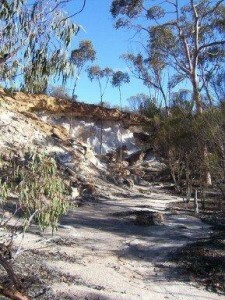 A list of some of the more popular reserves and parks in the Shires of the Wheatbelt. Granite rocks are other sites to explore. Camping is not allowed in nature reserves unless there is a sign to indicate it is permitted. Take the North Beacon Road from Beacon, continue along North Beacon road until you reach the Billiburning Rock turn off. Billiburning Rock is a favourite picnic spot. Near the Tampu Well (Location on North Beacon road turning left at Kuhl Road and then right onto Bimbijy Road). A good season results in white everlasting carpeting the ground as far as the eye can see. Some flora found at the reserve include: One-sided Bottlebrush and interesting orchids such as the sun and yellow spotted donkey varieties. Travelling west from Beacon on the Bonnie Rock Burakin Road, turning left onto the Koorda Mollerin Road, and left again onto the Kulja Mollerin Road to Mollerin Rocks. Wildflowers of many varieties proliferate in the Koorda district, with dazzling colour displays on roadside verges. Many are particularly well adapted to dry conditions, with leafless branches, needle-like or waxy leaves and deep roots. Species of flora found at the rocks include Darwinia purpurea or Koorda rose, tinsel lily Calectasia grandiflora and many orchids. A 600 acre CALM Class A1 Reserve 17 kilometres east of the town of Dowerin, at the intersection of the Cunderdin-Minnivale and Goomalling-Merredin roads. Still visible today are wagon wheel tracks made by travellers on their journey to the goldfields in the late 1800’s. Many species of wildflowers are found throughout the reserve – but please remember to leave only footprints and take only photographs. 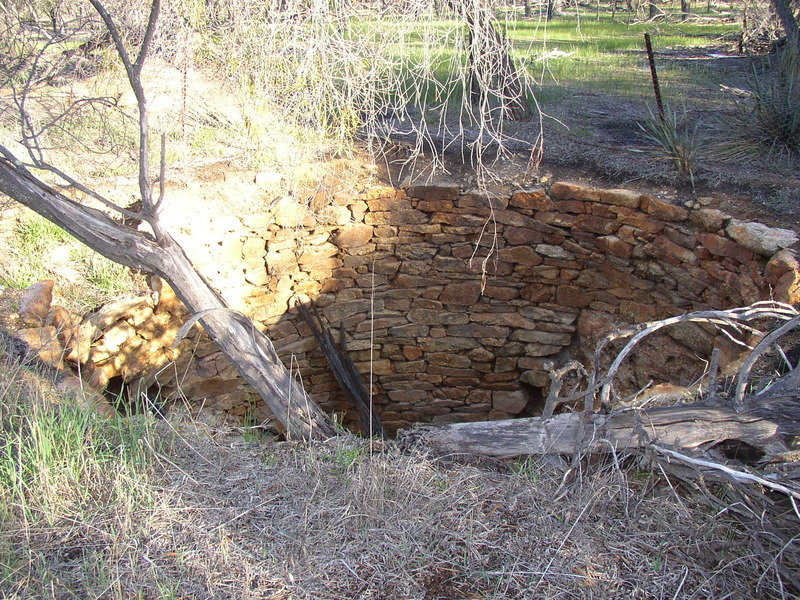 Namelcatchem Well, situated about 100 metres within the Reserve, was initially used to provide water to miners travelling to the Goldfields. It was later used to provide water for horse teams transporting wheat to Minnivale. The well was built some time before 1865, making it the earliest European built structure in the area. It held sufficient water for 70 horses. 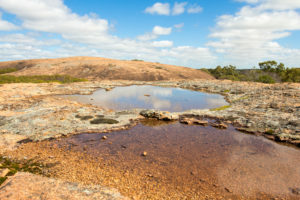 27 kilometres north of Kellerberrin on the Kellerberrin – Bencubbin Rd this reserve contains a short walk outlining the impact that rising saline groundwater can have on bushland. A large reserve with stands of inland wandoo and heath land. Interpretation and picnic table available. Billyacatting Hill is located along Kidd, Sutton and Billyacatting Road north of Kununoppin. There is a wealth of biodiversity at Billyacatting Hill where wildflowers and fauna are plentiful. A recently installed interpretive walk trail enriches your visit to this Park. A reasonable level of fitness is needed as a rock climb is involved. Allow about two hours for the whole walk. 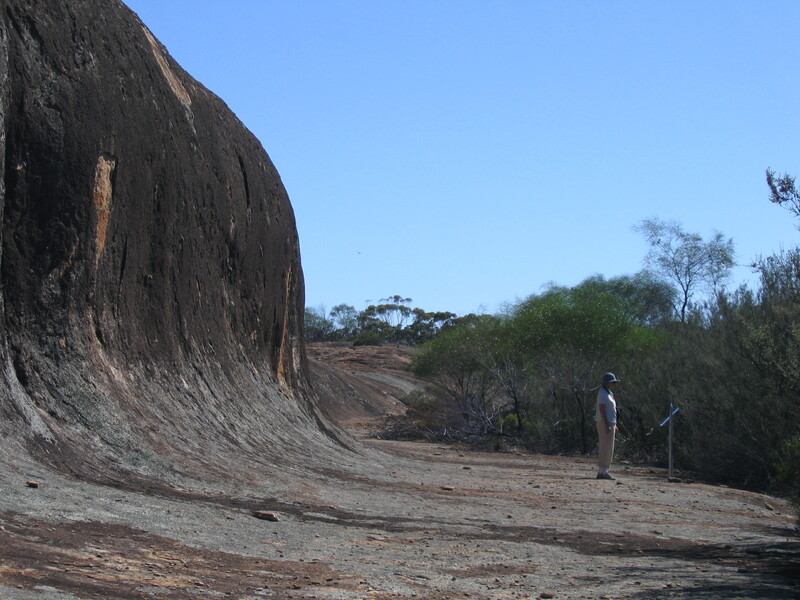 Located 70 kilometres east of Kulin, off the Holt Rock Road with 11 kilometres of gravel road on-route to Wave Rock, Buckley’s Breakaway is a picturesque landform where erosion has cut through the orange laterite and formed spectacular white cliffs and gullies from the underlying clay. The gully is dominated by Cypress Pine, Blue Mallet and Box Poison, but it is the top of the “breakaway” which carries the most interesting plants. It’s the natural garden with something in flower all year round. In the shelter of the shrubs. Look for delicate orchids, trigger plants and sundews. Eucalyptus macrocarpa (Mottlecah) is the floral emblem of the Shire of Kulin and grows along the Kulin Corrigin Road. You can view the macrocarpa along the established Macrocarpa Walk Trail. The Macrocarpa Walk Trail is located one kilometre west of Kulin. Located off Benson Road in the townsite of Merredin. 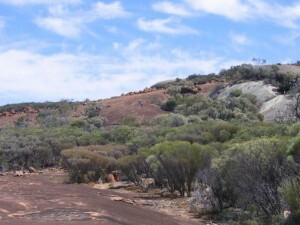 Merredin Peak is a naturally occurring outcrop of granites that are about 2,700 million years old. 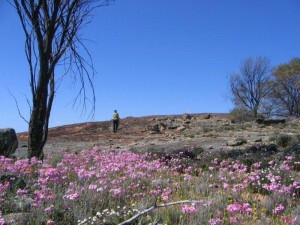 The Peak is set in an area of woodland known locally as Merredin’s National Forest. This 1200 hectares of woodland and sand plain country was originally set aside as a firewood reserve for the town residents. Over the years it was under threat to be converted to farm land. However, the Shire stood firm and it is now protected as a bushland reserve. Take the Merredin Peak Heritage Trail and explore the site of the Army Field Hospital. Interpretation on site. Located on South Ave and Endersbee St. The western and eastern fringes of this reserve are well worth exploring during the wildflower season. A variety of orchids including spiders, sugar, jack in the box, greenhoods and donkey orchids can be found. Flowering shrubs, red flowering mallee and other mallee species, drosera, hibbertia and hakea sp. A 1.2 kilometre easy walk trail with interpretation allows you to really appreciate the attractions of this small remant patch of bush in the townsite. South of Merredin along the Merredin – Bruce Rock Road. Totadgin Rock has a walk trail with interpretation and is a good first stop to find out how granite rock outcrops are formed and about the unique habitats they create. Wildflowers in spring. A Golden Pipeline Heritage Trail Site. Located on the corner of Quanta Cutting Weira Road and Copeland Road, east of Mukinbudin. A granite outcrop with an interesting large circular gnamma hole. When flowering, the Kunzea pulchella can be found in both the red and white varieties. Located 13 kilometres east of Mukinbudin on the Koorda Southern Cross Road and Stockton Road. Here you will see a breakaway area with gnamma hole. Barbeque and picnic facilities are available. Seek out the shy native orchids in the damp areas of the bush trail, also the Red-capped Robin. 531 hectares of reserve land situated on the corner of Echo Valley and Elachbutting Roads. The rock offers spectacular views with a wonderful variety of bird life and flowers. The “Silver Princess” (Eucalyptus caesia) can be found on top of Yanneymooning Rock cascading into the valley below. Situated on the Talgomine Road east of Nungarin this reserve features an area of York Gum / Jam Tree woodland that is a picture of pink, and later, yellow everlastings should the season be favourable. On the eastern border of the Reserve is a patch of heavier country where a variety of wildflowers and orchids attract those keen on the flora of the area. Climbing Mt Moore will reward you with an extensive view to the north with Lake Campion in the distance. Situated 14 kilometres south of Tammin this reserve of 600 hectares contains a wide variety of wildflowers and understorey some of which are unique to the site. 5262 hectares of nature reserve under the control of DEC. Numerous types of wildlife and flora can be found, as well as granite outcrops and pools. Chiddarcooping is located along the Warrachuppin road north of Westonia. Access is difficult . No camping . Best left for those who wish to study our flora and fauna in depth.